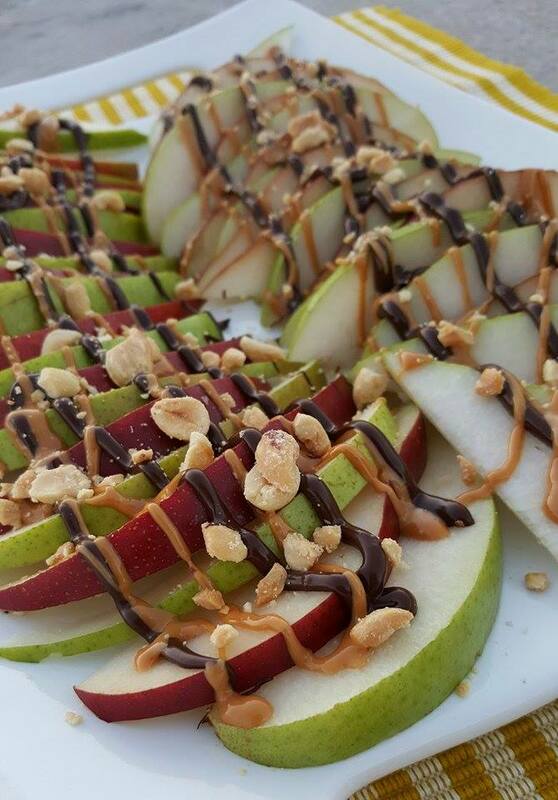 Sliced fresh Pears drizzled in warmed Peanut Butter, melted Dark Chocolate & chopped Peanuts. 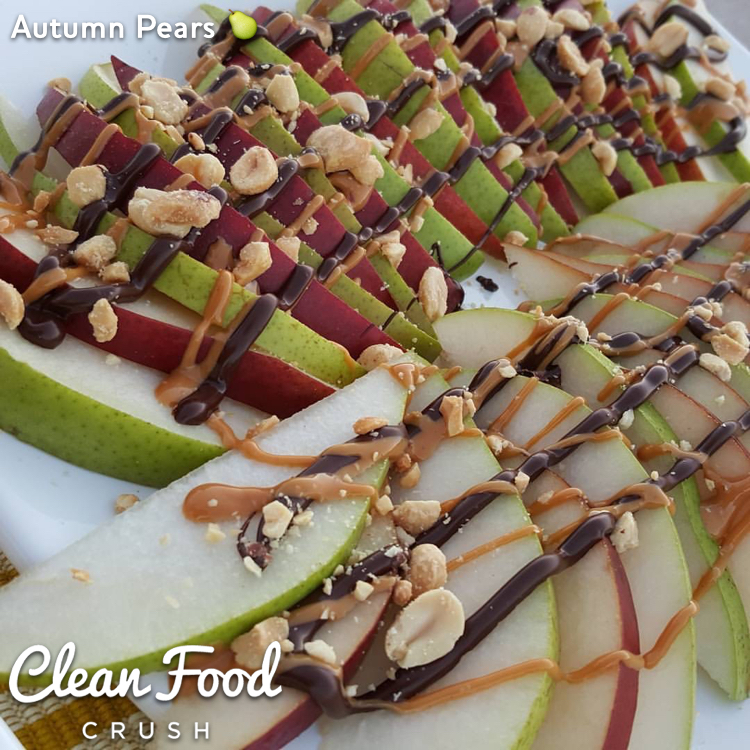 An Autumn treat for the kids tonight. For Warmed PB – Heat in small sauce pan for 1-2 minutes until warm and smooth. For melted Dark Chocolate – Heat in small sauce pan for a few minutes, stirring consistently until smooth. 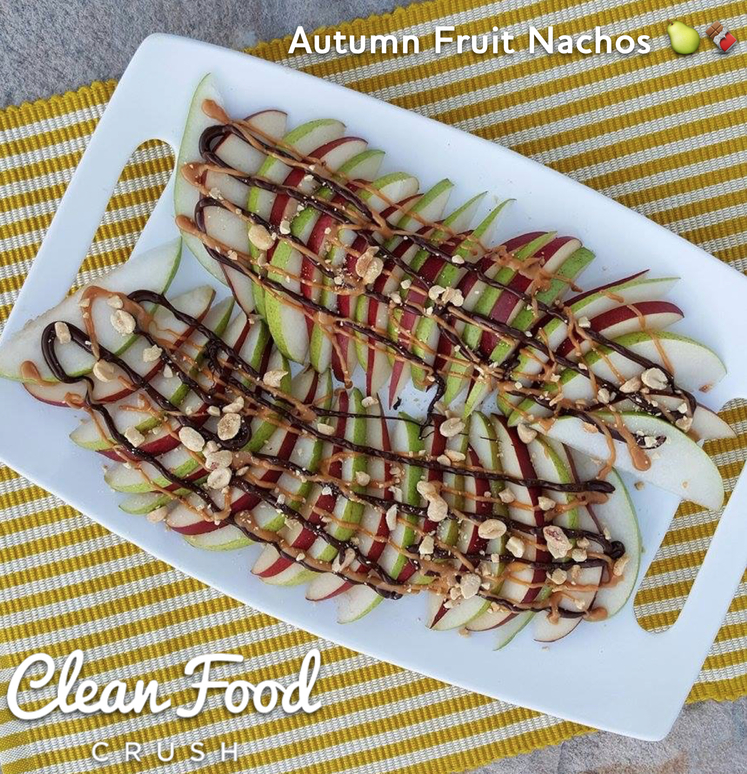 This recipe also works great with Apples and Almond Butter!